Welcome to Sunday. As you know, I love my sundaes Sundays, and my day of rest. 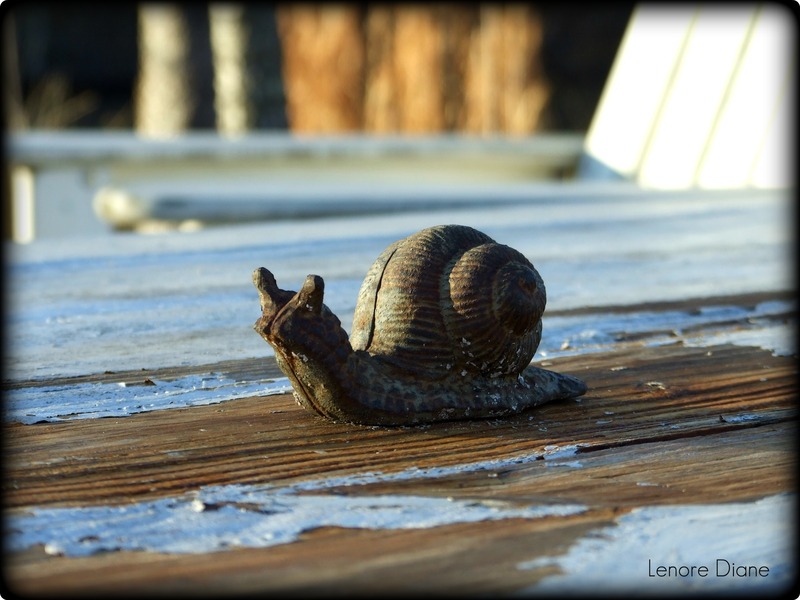 I hope you are able to slow down to a snail’s pace today. Enjoy. Thank you, Kurt. I appreciate you coming to my neighborhood. Glad you liked the shot. Thank you very much, AJ. Thanks for taking the time to visit my neighborhood. I was so tired yesterday, that it was like my body led a revolt against my to do list. I hope you were able to rest again today. Seriously – we all need a snail day. Hello Mags, thank you very much! Good to know you follow directions, Patti. 🙂 I hope you enjoyed your Sunday. Oh I love this, the image and the thought behind it. I am pulling a snail today, for sure. Hope you are too! Thank you, Stasha. I did have a wonderful day at a snail’s pace. Here’s to a great week. Awesome image and great thought! Dude. That snail looks like a dinosaur. It’s been crawling for a long, long time, Bridget. I’m amazed it dodged the meteors.